The Archives will be closed on Friday 30 March for the Easter holidays. We will be open for our normal business hours on Monday 2 April. 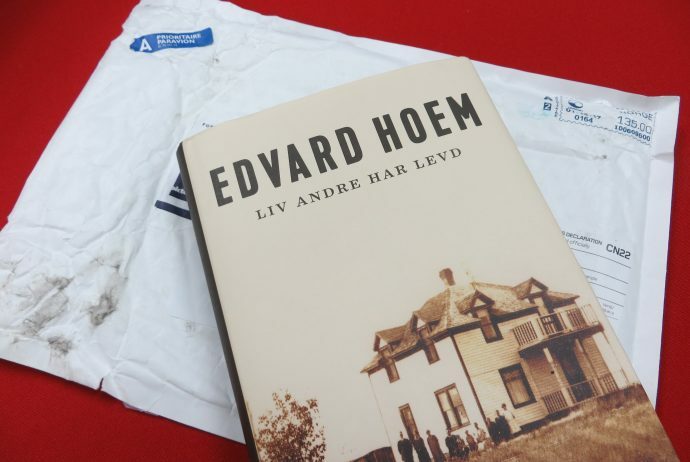 Last week, the Archives received a very special delivery from Oslo, Norway: a copy of Edvard Hoem’s Liv Andre Har Levd. This historical novel, published by Oktober Publisher, includes a reproduction of 1955 County of Grande Prairie map from our collections. The publisher generously provided a copy of the book for the Archives’ reference library. The book provides an interesting example of the widespread reach of materials from our local collections. Among the sea of unrecognizable Norwegian, we spied the occasional (perhaps untranslatable) English words, names, and phrases: “Alberta Pool Elevator,” “Grand Trunk Railway,” “middle of nowhere,” “Red Cross Hospital,” “homesteaders,” etc. The endpaper of the book includes a portion of the County of Grande Prairie map and provides an authentic supplement to the personal histories within its narrative. The 1955 County of Grande Prairie map was compiled by R.B. Bowen, the secretary-treasurer of the County of Grande Prairie No. 1. The map records the landowners, schools, and road locations from the area. It is bordered by the Smokey River to the East and the Wapiti River to the South. The original document is displayed in the Reading Room of the South Peace Regional Archives, where it is often consulted by researchers wishing to locate family-owned property. Click here to browse the book (in Norwegian). Click here to view a reproduction of the map. 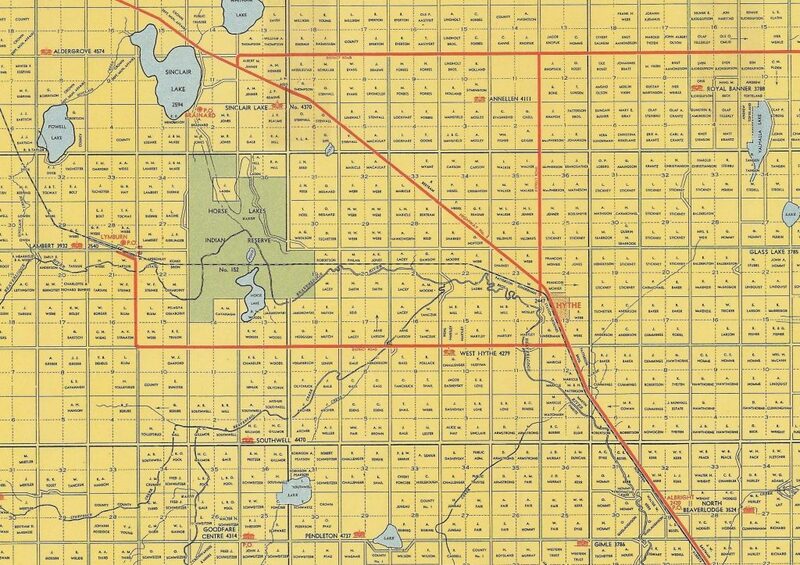 Click here to view the 1955 County of Grande Prairie Land Ownership Map Database. 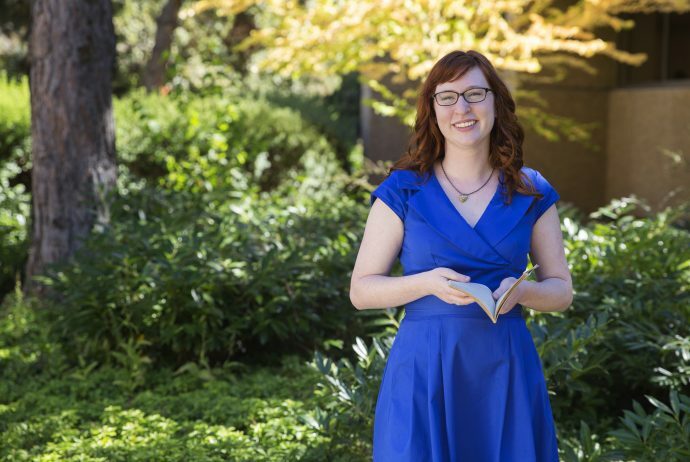 New “Telling Our Stories” Newsletter! 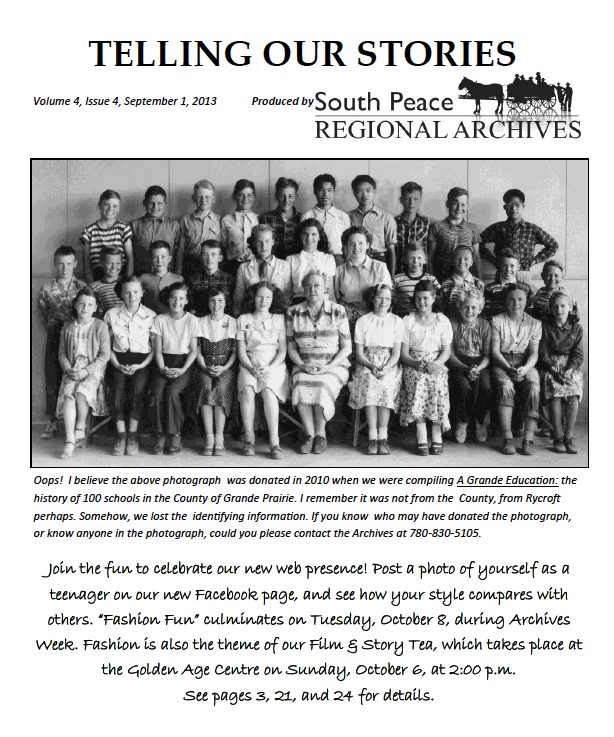 The South Peace Regional Archives publishes a quarterly multi-page newsletter to include submissions and stories from the public. It is available online, at the Archives, and is mailed to members of the Society. Read the PDF version of Telling Our Stories Volume 4, Issue 4 and visit our Newsletters page to view past issues. Update: We have been able to identify the above photograph! 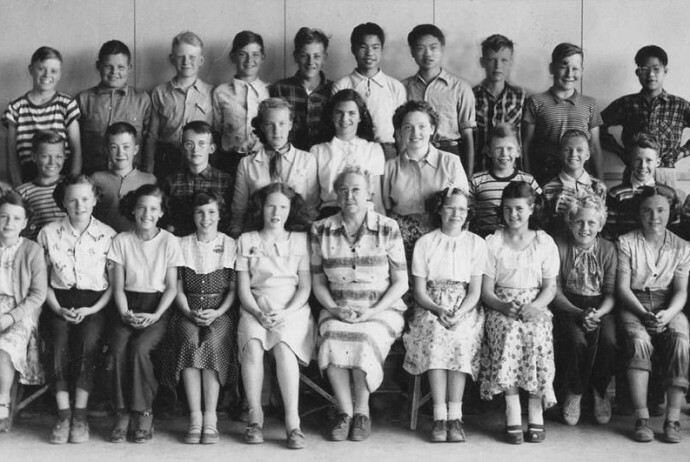 It is of the 1951-52 Beaverlodge class – the names of the students are available on our Facebook page, where we received a great response from the community. 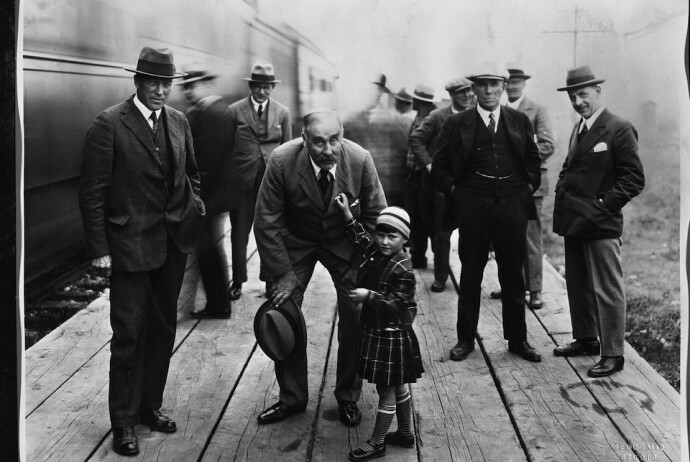 Thank you to everyone who helped us identify this photograph! 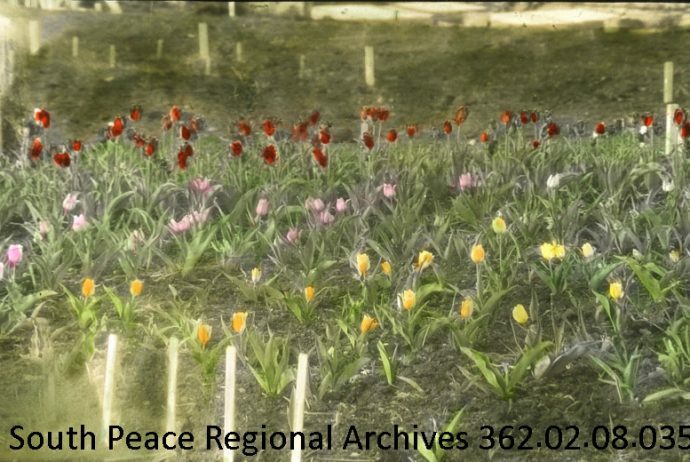 South Peace Regional Archives is now on Facebook! Check out our detailed timeline of the South Peace and “Like” us to receive news and updates!